If you’re not afraid of a little heavy lifting, there’s a charming citrus orchard less than two hour's drive north where you can pick more zesty goods than you can throw at an industrial juicer. 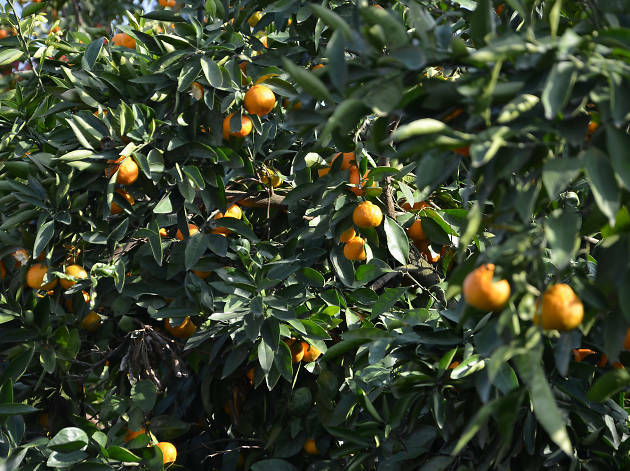 At Ford’s they specialise in mandarins – satsuma, imperial and hickson varieties are all grown here, and some of the original emperor mandarin trees planted 50 years ago are still bearing fruit today. You can also pick Tahitian and kaffir limes, lemons and cumquats, tiny oval shaped fruits that are both sweet and tart, and incredibly fun to pop in your mouth whole. Make a day of your visit – there are picnic areas, a farm shop selling homemade chutney, and sheep to feed. 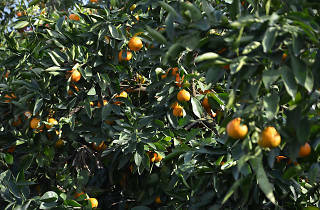 If you’re driving, there’s plenty to do before and after your citrus stockpiling session. Located right on the Hawkesbury River, the farm is wedged between two massive national parks – Dharug up north, and Marramarra down south, plus the historic town of Wisemans Ferry is on the way, just 20 minutes out.